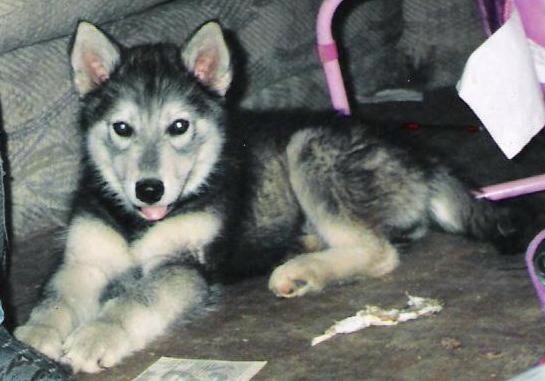 "This is Sheeva as a pup at 3 months old. She is a wolf hybrid of 87 percent wolf. She is very mild mannered and loves kids. She also likes to stay inside. She will eat anything."